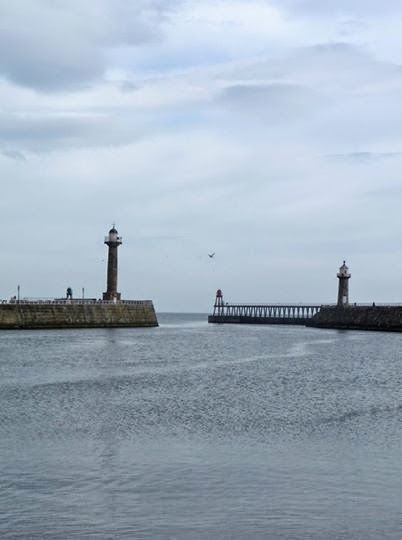 In case you've been wondering what I'm up to (always suspicious when artists are quiet), I moved house just over a week ago to the lovely Whitby on the North Yorkshire coast. There were several reasons for this but the main benefit from a creative point of view is the amazing location - lots of places to go walking and a great atmosphere. The setup in this flat is different - I'm now working in a corner of our lounge so I've taken over one of our computer desks to make best use of the space, with halogen lights to compensate for the lower lighting. It must be doing me good too - I'm already working on a new piece, the next in my series of spice sketches. This one is a dried lime cut in half - fiddly but with some fantastic lines and intense contrast. Like the others, when completed it will be framed in a 6" oak frame and put up for sale in my Etsy shop.